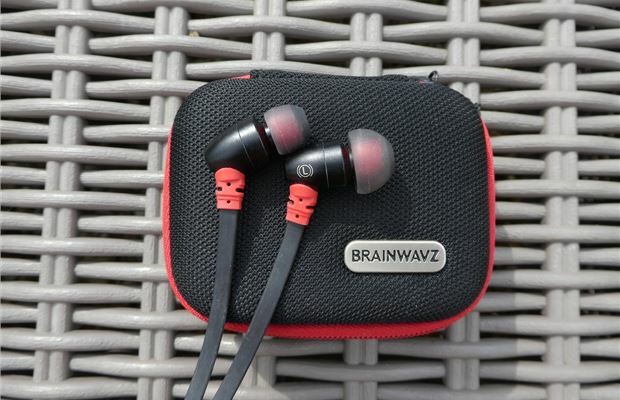 Brainwavz S0 earphones are balanced, entry-level in-ear monitors (IEM). 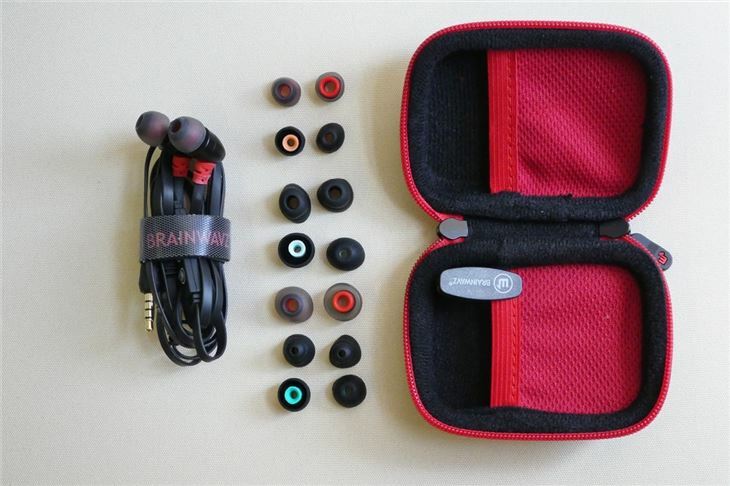 They slot nicely into the budget end of the earphone market and offer a decent alternative to more expensive earphones, like Brainwavz more costly offering - the B400. 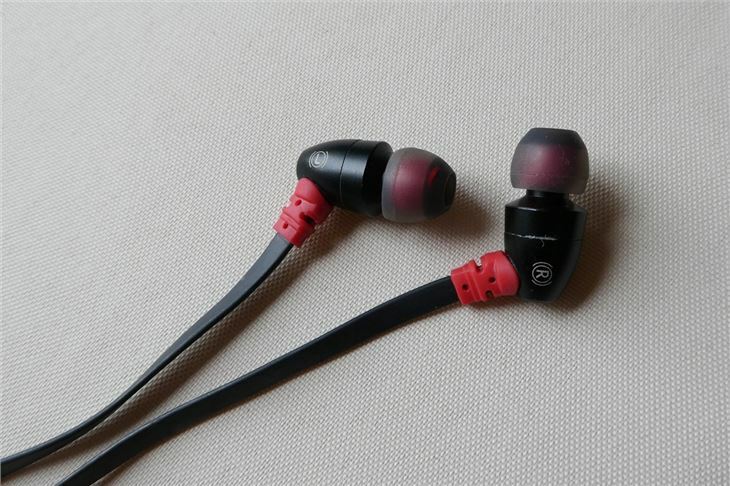 The black-coated aluminium S0 have a high-quality look and feel about them (even though the style is a bit dated). 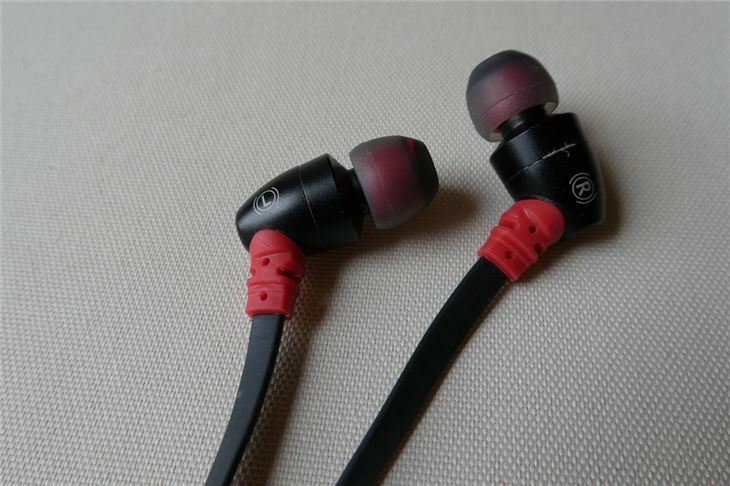 They're designed to have a balanced sound signature, using 9mm drivers. In the box, you get a wide variety of earphone tips - including six sets of silicone ear tips (in small, medium and large), one set of Comply isolation T-400 foam tips, one set of silicone (horrifically named) bi-flange ear tips, one set of silicone tri-flange ear tips, a shirt clip, the instruction manual and a 24-month warranty card. 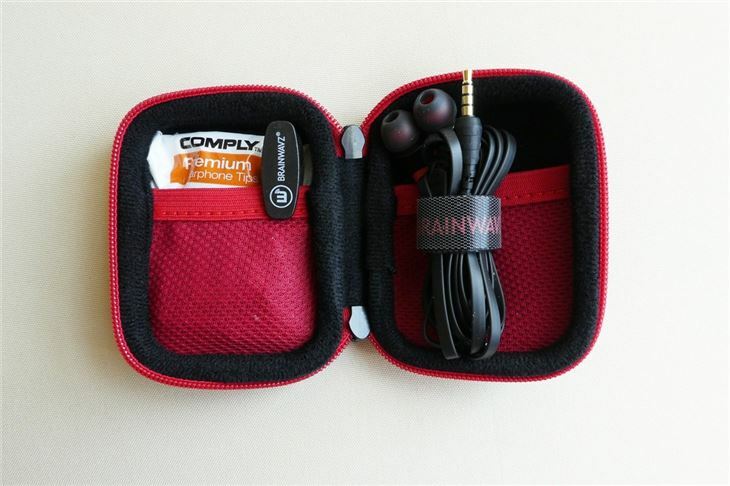 The earphones themselves come in a nicely designed, compact canvas case - which you can keep them in to protect them from damage and tangling. The 1.2-metre long cable is flat, meaning it should be more robust than the conventional cylindrical wire - in theory anyway. 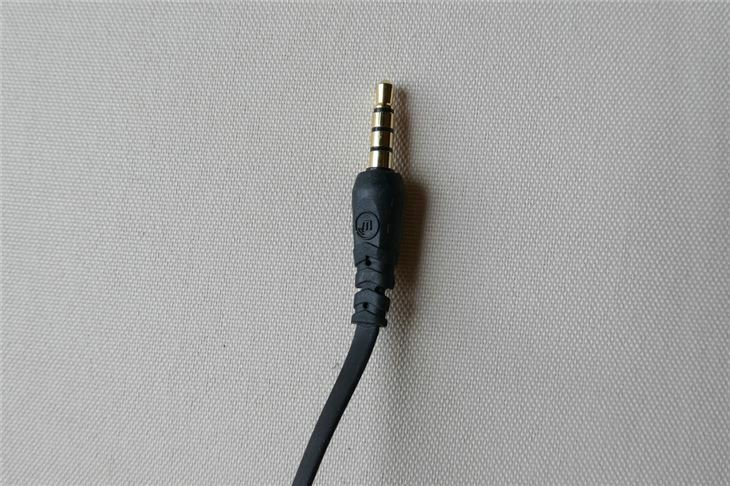 The 3.5mm jack is gold-plated, although it isn't L-shaped, which increases the potential of the headphones being pulled out of the jack. 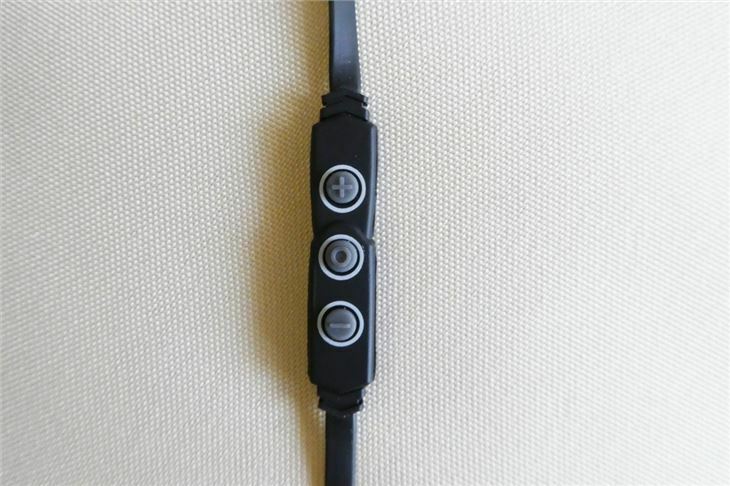 As well as a built-in microphone (which is average, but works fine for making calls), the S0 also have a three-button control strip on the cable for media playback, voice control and phone calls. Disappointingly though, the control buttons don’t work when plugged into a computer or laptop. 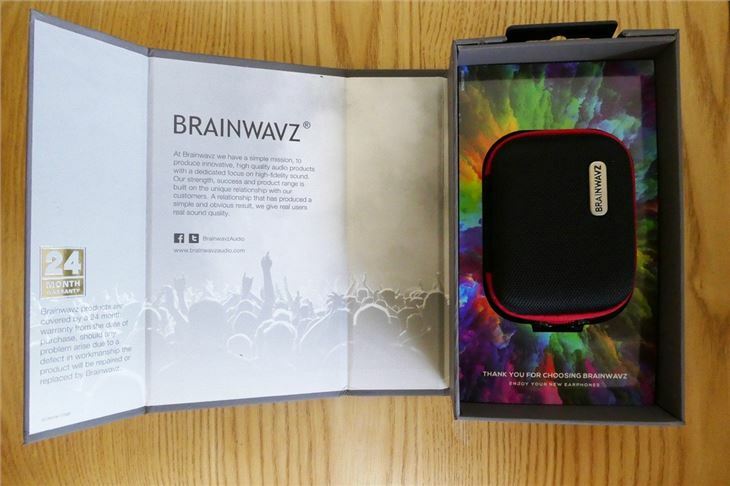 As for in-ear comfort, we can't really fault the Brainwavz S0. It will mostly be a matter of finding the tips you find most comfortable. For us, that was the bi-flange tips. The Comply foam tips suffered some wear and tear in the six weeks we've been using them due to the material they're made of. You can get replacements online for around £5 though. The Comply foam tips aim to isolate outside noise by fitting snugly into your ear to block out external sound. We found the Comply foam tips to be very effective in the office at blocking out the hubbub of keyboards tapping, quiet chatter and ringing phones. They aren't practical for use at the gym though, When running, the shirt clip is necessary to stop the weight of the wire pulling the earphones out. The bi and tri-flange tips are great for higher levels of isolation. 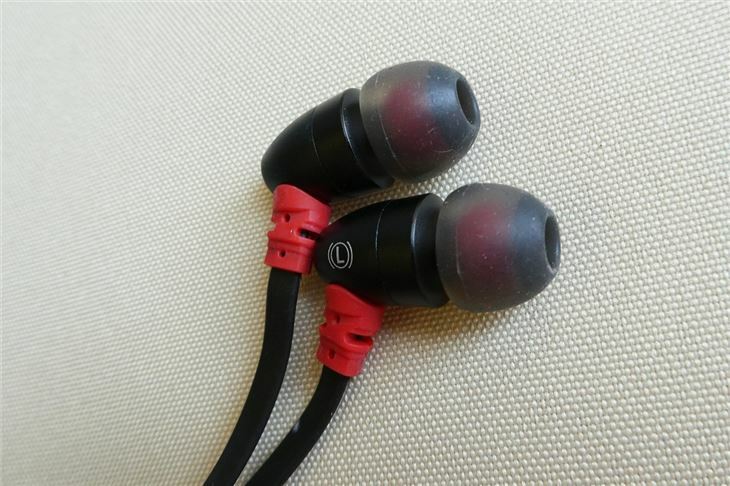 They significantly improve the bass performance, just make sure the seal is as good as it can be in your ear canal. These earphones are designed to sound good with any genre of music and that they do with an impressive clarity for the price. When listening to Godspeed by Frank Ocean, you can hear how expansive the sound is like the guitar and piano flow from the left to right ear before the vocals kick in. The S0 provide a well-rounded soundstage with texture and timbre brought out in most music. In Nirvana's Drain You, the lower mid-range is emphasised with the stripped back combination of Cobain's throaty vocals, bass drum and bass guitar. Guitars are exceptionally expressive. Though, in a song like Never Like You by Flume, the bass can feel a bit pushed. The female vocals are presented well but do compete with the mid-bass. The midrange can feel a bit forced too. For example, Eulogy by Kyle Dixon and Michael Stein (of the Stranger Things 2 soundtrack) isn't butchered by the S0, but the ambient, gliding tones of the analogue synths lose their gentle dreamy quality. Detail isn't too muddied, however, with the finger snaps in Open by Rhye being clear throughout the vocal-heavy piece. 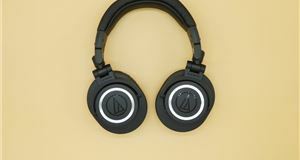 The S0 implements a warm mid-range with a somewhat heavier lower end, though we wouldn't call the Brainwavz S0 a particularly bass-heavy set of IEMs. The mid-bass tends to push around the mid-range. It isn’t too noticeable in some songs, but in Maggie Roger's Alaska, you can hear it. 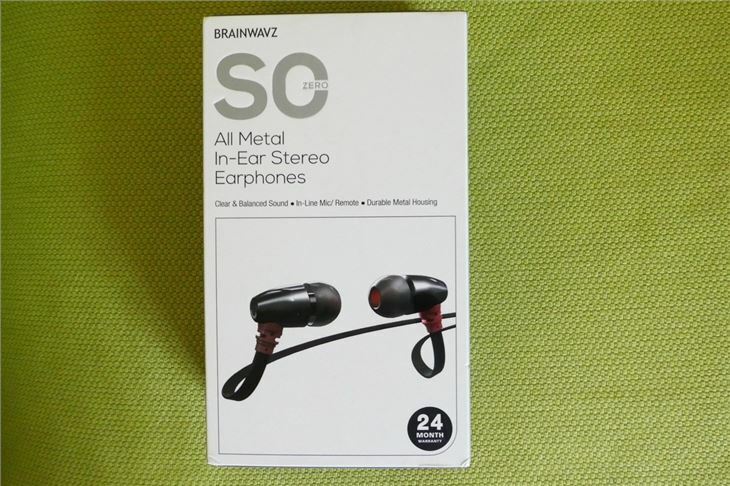 If you’re looking for good value, balanced earphones for a very reasonable price, the Brainwavz S0 should definitely be on your list. You get noise isolation, which generally costs more than the modest price tag.